Do you or your relatives have photographs, certificates and newspaper clippings collecting dust in an attic or basement? Would you like to preserve your documentary heritage and share it with the rest of your family? 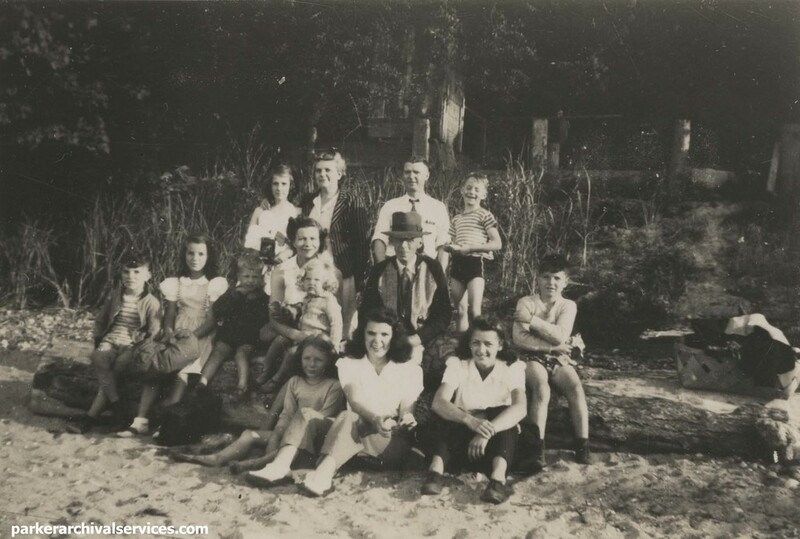 Image of the Pipes family, c. 1943. Original photograph is 2 x 3 inches. Click to enlarge. Making family records sharable and accessible online. Preserve your documentary heritage and create visually stunning photo-books, websites and family history books. Photo album & scrapbook pages. Copyright M. Parker Archival Services. Copyright 2015-2017 Parker Archival Services Inc. Website content and digital images are the property of Marisa Parker unless otherwise noted. Cover page image is licensed from Getty Images. Portrait courtesy of Katie Powell Photography.